Outside the Rat Race: Mustache March! Furry February has come to a close and now it's time for the main event: Mustache March. 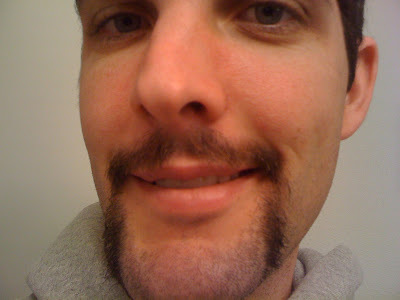 This year I'm going straight to the Fu Manchu. It should be fully OUT OF CONTROL by the end of the month. Good thing I have these sweet handle bars to hold on to.